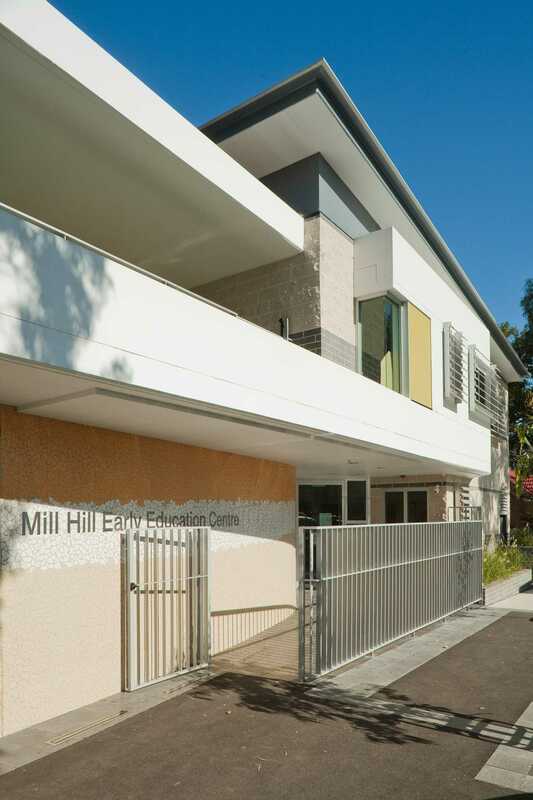 Projectcorp were appointed by Waverley Council for the new purpose built 52-place Mill Hill Early Education Centre(MHEEC) located in at Bondi Junction. Designed to cater as a complete service child care the project includes flexible space areas for family and children support services. Over three levels plus a basement, the project includes a lift, commerical kitchen, child friendly landscaping and a number of green features such as water harvesting, solar panels and natural ventilation. The building designed by the award winning designers Baker Kavanagh Architects provided the community with a vibrant and sophisticated facility. This project was designed and built from a childs eye perspective.